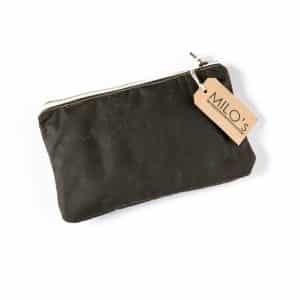 Milo's waxed cotton clutch bags are handcrafted in Brighton and come in three useful sizes. 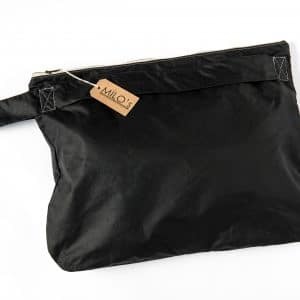 This small version makes a great toiletries or make-up bag and fits perfectly into the larger bags. 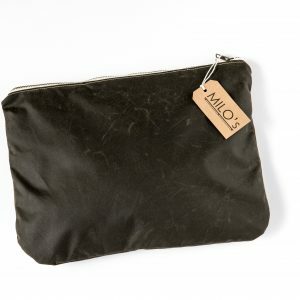 Milo's waxed cotton clutch bags are handcrafted in Brighton and come in three useful sizes. This medium sized version is perfect for tech gadgets and everyday use. 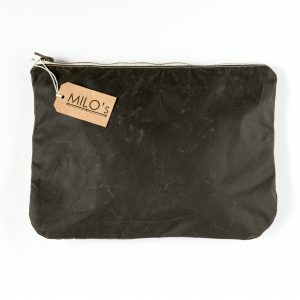 Milo's waxed cotton clutch bags are handcrafted in Brighton and come in three useful sizes. This over-sized version can hold everything you'll ever need for the day!